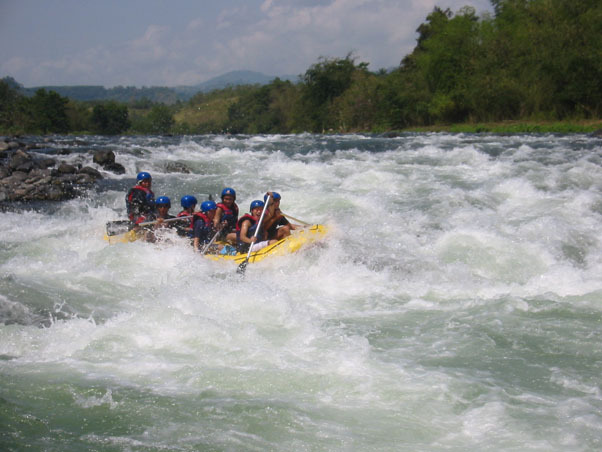 When arriving as a tourist in Cagayan de Oro you will probably be advised ot certainly try the White Water Rafting in Cagayan River or, if you prepared for your trip, you would have found out already about it. Or maybe, or even most likely, you ended up here because you're planning your holiday or rafting trip. In the mid 80's and mid 90's people from Cagayan de Oro City started rafting on the Cagayan River. This was done with inflated interior tire tubes, raft made of bamboo and banana trunks. This 'rafting thing' became the habit of some Cagayanon's and finally, some people had developed this adventure through the efforts of White Water Rafting has become since the most popular adventure activity in Cagayan de Oro City. 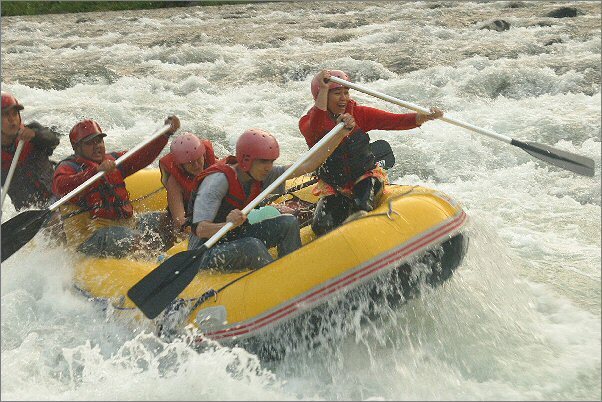 Cagayan de Oro White Water Rafting allows people to see the very nice scenery of the Cagayan River. Most Cagyan de Oro rafting companies pick people up in the city center or, if it's a large group, pick them up on a location of their choice. The rafting itself mostly starts at the starting location in Barangay Dansolihon. This is about 20 kilometers from the city center. Starting from this point, adventurers will pass one of the oldest Cathedral Church, the SEARSOLIN/MANRESSA an agricultural area developed by the students, the cleanest and safeties Lumbia Airport, and the well known Macahambus Cave which was use by Filipino Soldier during World Ward II. A very nice ambience can be expected. Also fresh and clean water and fresh air can be expected from starting point up to the finish. 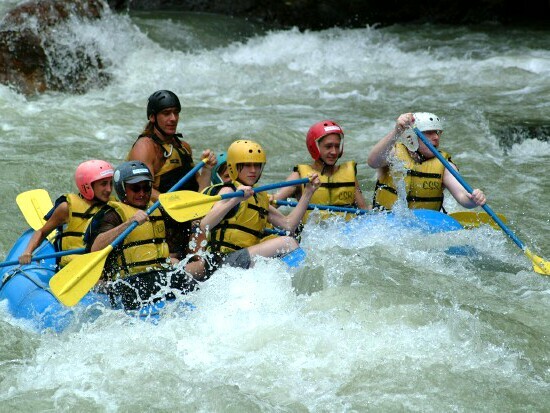 See below links to the companies offering White Water Rafting in Cagayan de Oro City. Read more about the companies offering White Water Rafting on the Cagayan River on our page Rafting Companies in Cagayan de Oro City. You can also make your bookings through Active Discovery Tours.